Earlier today, LG announced the global roll out of its four mid-range smartphones – Magna, Spirit, Leon, and Joy; all these devices were officially launched in February this year, ahead of MWC. 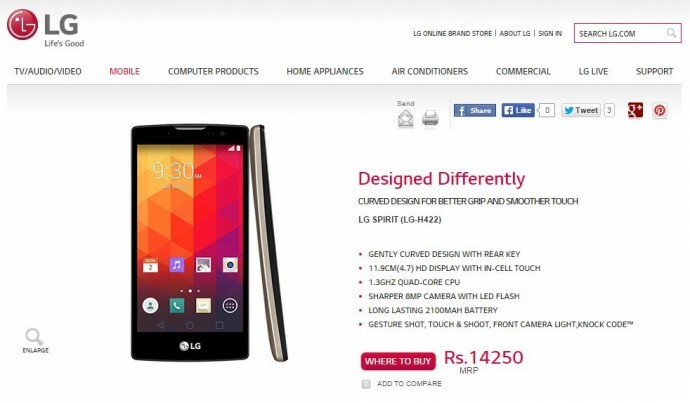 Just a few hours after the announcement, one of the four models made an appearance on LG India’s official website. It is listed on the company’s India-specific website with a price tag of Rs. 14,250. The device comes in two different colour options. 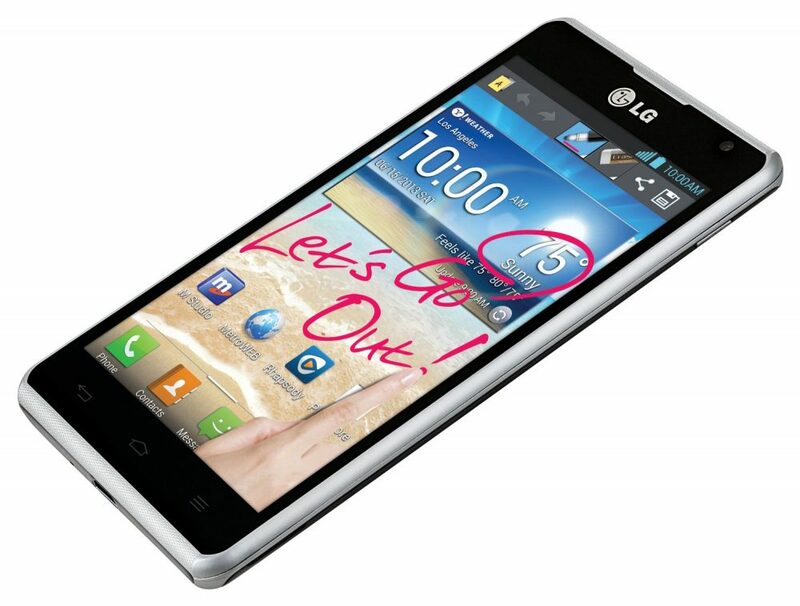 Throwing light on the specifications of LG Spirit, the device holds an HD 720p touchscreen display of 4.7-inch. It features a 1.3GHz quad-core processor bundled with 1GB of RAM. The onboard storage space of the phone is 8GB, which can be extended via MicroSD card up to 32GB. LG Spirit runs on default Android 5.0.1 Lollipop with the company’s UI on top. The phone features an 8MP camera at the back with LED Flash and autofocus, while the front holds an average 1MP shooter. The device comes with connectivity options like Wi-Fi, Bluetooth, GPS/ A-GPS, and Micro-USB. A battery of 2100mAh is equipped with the device along with the key feature ‘Knock Code’. The dual-SIM handset is slightly curved to fit in the palm of the user. At a price of Rs. 14,250, the phone will get a tough competition from lowly priced Yu Yureka and Xiaomi Redmi 2. All these high profile companies come out with phones with one feature that completely disconnects them from the mainstream – 1GB RAM. This is like taming an elephant with not enough food to make it powerful enough.